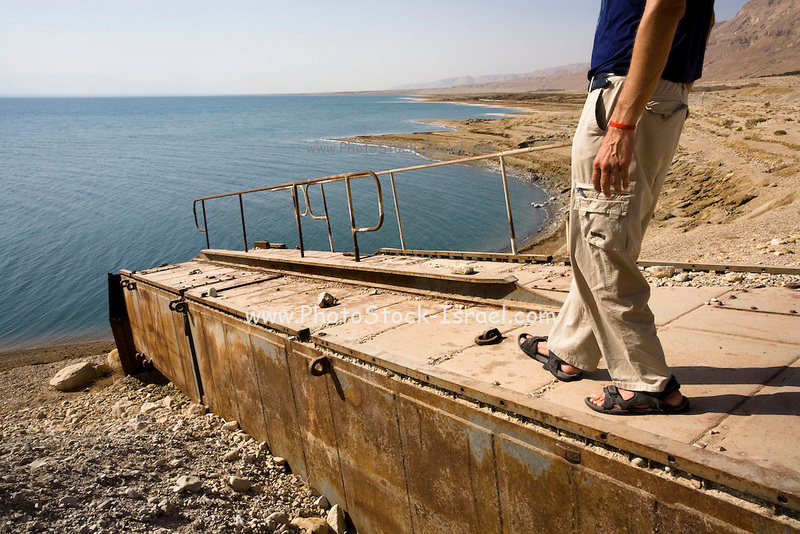 Israel, Dead Sea, An old pier, tens of meters higher than the current water level. On Nov 3, 2008. The shore line is receding at a rate of approximately 15 cm every month.